Valkokankaalta tuttu elokuvafilmi nyt käyttäjäystävällisessä paketissa. C-41 kehitys. ISO 50 päivänvalofilmi. Erittäin hienorakeinen. 36 exp. 135 rolls. 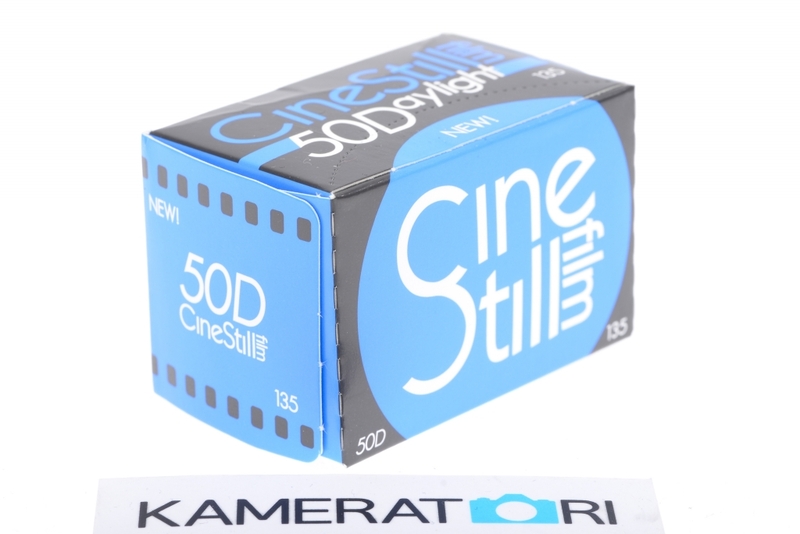 ISO 50/18° speed daylight balanced (5500K) motion picture emulsion. Original fresh stock from Kodak 50D, prepped and rolled for clean safe C-41 standard development as an ISO 50 film. Boasted to be the world’s finest grain film! May also be processed in motion picture ECN-2 chemistry. Our new and improved manufacturing process now extends the shelf life to 2 years, with less noticeable artifacts after expiration! The same advanced motion picture emulsion, safe to process in standard C-41 photo lab machines or at home! This emulsion is optimized for a hybrid workflow, ideal for scanning, and produces a complimentary contrast curve for optical printing on RA-4 paper when processed in C-41 chemistry.